Sometimes a loved one or family member reaches a point where they can no longer receive sufficient care at home. While it is often a difficult decision, arranging for a loved one to enter into a managed care facility or nursing home is often most loving choice we can make. We trust the facility and staffers will better care of our family member than we could at home. In Mattox v. Life Care Centers of America, an elderly woman was receiving care from a nursing home owned by defendant. She was 86-years-old. During her stay, she suffered a fall and fractured her femur. She was taken to the emergency room, where doctors gave her pain medication. She then suffered nausea, vomiting and aspiration. She was not stable enough to have surgery to repair her broken leg, was placed in “comfort care,” and died just after midnight. Plaintiff’s son filed a wrongful death lawsuit against defendant, alleging they were aware she had a history of falling and did not take proper care to prevent her from falling and breaking her leg. Defendant filed for summary judgment on grounds plaintiff failed to name an expert who would testify that defendant didn’t adhere to the required standard of care with respect to plaintiff’s death, and further had not introduced any evidence to prove the fall was the proximate cause of plaintiff’s death. As our Boston nursing home injury lawyers understand, expert testimony is often required to establish that defendant failed to meet the acceptable standard of care in negligence cases when the issue is not obvious to a jury with no prior knowledge of the standard of care. Plaintiff opposed this motion and submitted two affidavits. The first was from plaintiff’s primary care physician (PCP), who asserted defendant failed to follow his orders or defendant’s own care plan. Plaintiff asserted this was a breach of duty of care owed to plaintiff. PCP also asserted that plaintiff’s fall was the proximate cause of her death. The second affidavit was from a nurse with experience in nursing homes in other parts of the country. She claimed she acquired knowledge of the local standard of care by conducting interviews with four local health care providers, reviewing state and local regulations and other investigation. 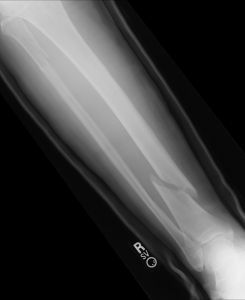 She asserted defendant had failed to exercise reasonable care to prevent this injury. Defendant objected on grounds that neither expert had actual knowledge of the local standard of cared owed by defendant to patient. Trial judge agreed with plaintiffs and struck the affidavits from the record, granted defendant’s motion, and dismissed the case. Plaintiff appealed this order. On appeal, the court stated that trial judge clearly abused his authority and noted the law does not require the expert to adhere to the statutory duty of care in a formulaic manner when expressing his or her opinion. With respect to PCP, though he did not state he had actual knowledge of defendant’s care plan, it was obvious that he did, since he was instrumental in creating the care plan and specifically ordered defendant to take certain precautions.